In the age of Nintendo Wii and iPad, the entertainment you can get out of pinball machines seems rather limited. But their value as collector's items is raising as fast as their entertainment appeal drops. Charles Martin of Federal Way has been collecting pinball machines for the past three years because they are "kinetic works of art ... technological marvels." He has four in his living room and seven in his garage. "It's become an obsession," said his wife Cindy Martin, whose 84-year-old father got a pinball machine from Martin as a Christmas present. 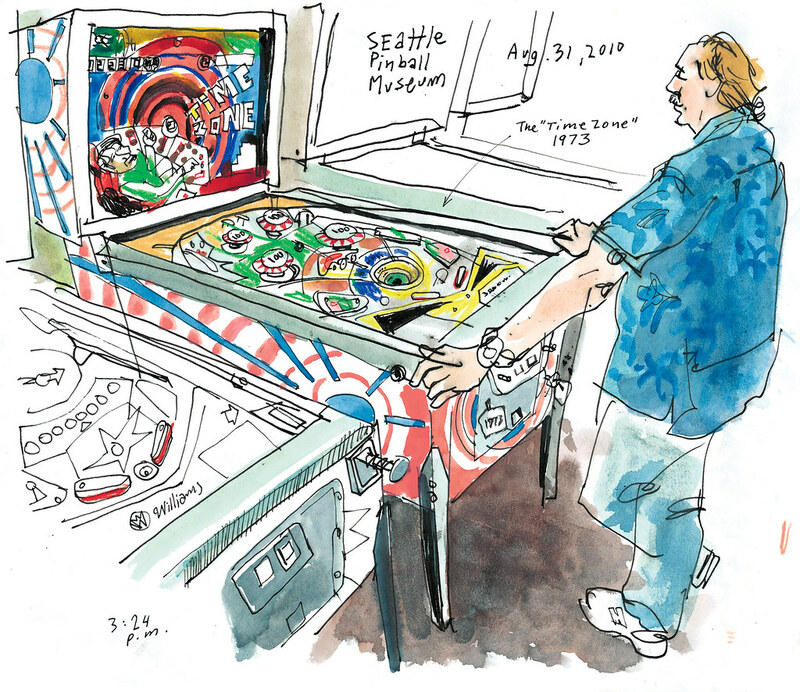 With the mission of preserving pinball for future generations, Martin is taking his hobby up a notch with the launch of the Seattle Pinball Museum Project, an exhibit opening Saturday at the historic Eastern Hotel building in the Chinatown International District. The starting collection Martin has assembled with the help of other area pinball enthusiasts includes machines that span from the 30s to the 90s. 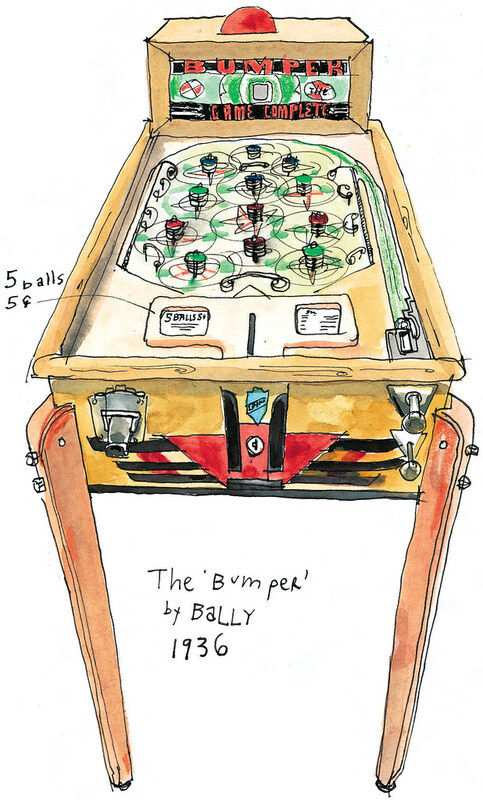 From a 1961 Gottlieb's Rack-a-ball to a 1994 "The Shadow," visitors can play thirteen different machines without having to drop coins while admiring the intricate play of lights, sound and artwork that makes each of these artifacts worthy of its own museum. It's art you can interact with, said Martin. To play "Bumper," a rare art deco wooden machine from 1936, you have to shake the table to move the ball. "The Shadow" has a gun-shaped trigger and talks back at you when you score. The museum is one of 10 art-related enterprises awarded a three-month, rent-free residency as part of Storefronts Seattle, a community-driven initiative to revitalize empty retail spaces in the Chinatown International District and Pioneer Square. Where: 508 Maynard Avenue in Chinatown International District. When: Exhibit opens Saturday Sept. 4, 5p.m.-10 p.m. Admission: Opening day admission is a suggested donation of $5. Regular admission will be $8 per day for unlimited play. On Facebook: Seattle Pinball Museum. COMING UP: With the biennial Seattle Floating Homes Tour coming up on Sept. 12, I'm excited about the opportunity to sketch the Lake Union houseboat community next week. Are you a houseboat dweller? Drop me a line. I'd love to sketch your houseboat. I'm always looking for interesting stories worth sketching. 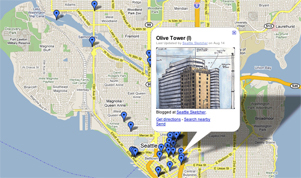 Don't hesitate to contact me at gcampanario at seattletimes dot com or via Twitter or Facebook. Thanks for following my work and have a great Labor Day weekend!